← New Projects and More Hoots! 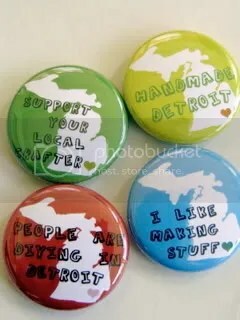 I found a box on my front porch yesterday that was cram-packed with all sorts of goodies from Handmade Detroit, for winning their flyer contest. 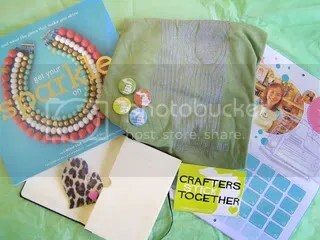 There was a HD tee (notice the Mitten in the bark of the tree), a copy of Get Your Sparkle on, a handy little organizer, mitten pin, a calander featuring lots of crafty celebrities, a sticker and some buttons.